What a treat this book was. The kind of book that has me wondering why I don’t read more like it. I ended up having to buy it for this occasion, and it was worth every penny. So pretty and it has a wonderful smell! I have to confess that I’m now strongly considering signing up for a Persephone book subscription. Don’t tell my husband! As it happens, it’s also a great choice for the Literary Wives. Synopsis from Goodreads: Mrs Heyham’s daughter leaves home to get married and suddenly Mrs Heyham is left with no family and nothing to do (the servants ensure that she does no work in the house). The daughter, who is young and modern in outlook, suggests that her mother takes more interest in the family business… ‘she discovers that these poor creatures [the women who work in the tea shops] are wretchedly underpaid; that they have to stand for too long hours; that they have to eat their meals in damp cupboards.’ The result is a serious strain on the marriage. But once Mary gets out there and discovers how other people live – other women, in particular – and realizes how comfortable she’s had it all these years, she feels a responsibility to help make their lives better. Her husband wants things to remain as they are. When he agreed to “let” his wife take an interest in the business, he believed she would tire of it, or that she wouldn’t be capable of understanding it. So it takes him off guard when she is persistent with her request of raising the women’s salaries. He wanted the business to be a success, and, to his credit, an honest success; she wanted that too, but she wanted more that it should make the people who worked for it happy. How were they – James and she – going to surmount these opposing attitudes? This new dimension of their relationship allows Mary to see another side of her husband. And, like most things, if you look too closely, you’re probably going to see things you don’t want to see. As the story moves forward, both husband and wife work through their thoughts about each other; how they feel about these new revelations, how they feel about each other after these revelations have come to light, and how they are going to negotiate their new relationship. This lovely child whose body Mary had made, who only a few years ago had lain, a little soft laughing thing, on Mary’s lap, was to be at the mercy of a man – she was to see the whole of life through his love – her children were to be his children. She would give herself to him, and in return, if he chose to sin, he would lie to her. Mary’s mind spins as she tries to work out how she feels about infidelity and deceit. Is it a forgivable sin? More forgivable for some than others? She also ruminates on the differences between men and women. These are things we are still grappling with in today’s society and our own relationships. Why did men exist? Why couldn’t they be trusted? Why couldn’t they keep away from girls? Why did girls ever want to have anything to do with them? Always these troubles on account of men! Amber Reeves does an amazing job clearly articulating each of their thoughts as they go through this turmoil. The reader comes to see both points of view, keeping in mind the attitudes of the day. Unlike some of the other books out there about imperfect marriages, this one ends relatively happily. No suicides or wallowing in self pity. (Hooray!) Mary decides to forgive her husband in light of all he has done for her and been for her in the last 25 years. And she believes he truly loves her. But she is also going to move forward with plans of her own, and be more firm in her business decisions, even if her husband may not agree with them. In future she would have a life of her own, and importance greater than the importance of her smiles of of her sympathy. Though Mary was willing to move out on her own to live a more independent life, she prefered to work things out with her husband, even though she knew their relationship would never be the same as it was before. Unlike in other books like The Awakening, Mary loves her husband and is willing to compromise in order to make things better between them. I consider this to be a pretty happy ending compared to most of the books we read about marriage. One of the messages I get from this book is that things don’t need to be perfect in order for one to be happy; including a marriage. A good message in a world where we constantly see images of our friends’ and neighbours’ “perfect” lives, and compare them to our own. Now she was middle-aged, and her life was failing her. With the children went its purpose and its meaning. Men, for her, had been creatures to be pleased and to be cared for, and men had loved her and been good to her precisely because of this attitude of hers. His authority, to her, appeared as an ultimate fact. There was no doubt in her mind that most of the wives she knew understood their husbands thoroughly, thus sparing them the trouble of understanding their wives. … she must – in addition be scrupulously loyal to James. James’s wisdom, his deliberate decisions, must come first, her own little vanities and disappointments, her inrestrained longings, fell naturally into a second place. Never for a moment, she thought, had she been free. [In anger that she had left him] She was his – his possession – his woman – and she had defied him. The whole thing came, he went on to explain to himself, of educating women and encouraging them to express their absurd opinions. When I look at their faces in the street, in a bus, anywhere, their mean stupid faces – men who get their ideals out of the half-penny papers, men who think about money on an office stool all day, and then go home and treat some woman as an inferior – I wonder that any woman has ever loved a man…. They’ve taken the whole world and made it theirs; everything we have in it is only ours, now, becasue they choose to give it to us. We haven’t even a right to our own children. And if we don’t like what they give, if we loathe it, if we’re in anguish, they don’t care. They’re not interested in us, they don’t want to know what we are in ourselves, or what we think of our lives, it saves them trouble to call us mysteries… To one another they’re civilised people, but to us to whom they’ve denied their civilisation they’re savages – arrogant, intolerant, vain, angry with anything that disturbs their comfort. She goes on for another page, but I’ll save the rest for you to discover yourself! From what I read in the Preface, Amber Reeves sounds like a remarkable woman. I’m very happy to have read her book. Have you read this? What is your favourite Persephone book? Next: The Blazing World by Siri Hustvedt, February 5, 2018 – Join us! This sounds an interesting take on early twentieth-century marriage and a remarkably modern resolution with Mary resolvng to do more with her life than simply be a wife. I do love Miss Percival’s rant, though. I love Miss Percival’s rant! It seems remarkable to me that she wrote this book over 100 years ago now! It makes me realize how much the same we are. (And, therefore, how frustrating it must have been to be a woman back then.) I feel like if I went back in time, we could have been good friends. That’s such a lovely feeling to have about a character! Hooray! It does seem like a book you would love! I’m really pleased that this story acknowledges we can be different and have to get used to each other all over again. Sometimes I bemoan that I am not the same woman I was 12 years ago. Other times I recognize that becoming a new person, often a more complex person, is part of marriage as years go by. If one spouse changes and the other feels badly about the person they feel in love with “disappearing,” I wonder why the disappointed spouse hasn’t also changed. It would be pretty boring to always stay the same, wouldn’t it? But unfortunately, I think some marriages are more adaptable than others. I found it so refreshing that the characters in this book were willing to stay together and work things out, even while knowing things could never be quite the same. Marvelous review! I am glad that she didn’t give in to despair and that there seems to be an element of hope going forward for the marriage. This one sounds like a winner! How similar our reactions to the book are! I loved every moment of it, and I especially loved Mary’s realistic attitude and outlook. I never got the feeling that she viewed herself as a victim. I hope that she was able to find happiness again with her husband. I love the quotes you selected; they really give a good taste of the book. Oh, and I’m glad you mentioned how remarkable Amber Reeves was. I enjoyed reading the introduction in our copies of the book. I would love to read more about her! Me too! I looked forward to it every night. 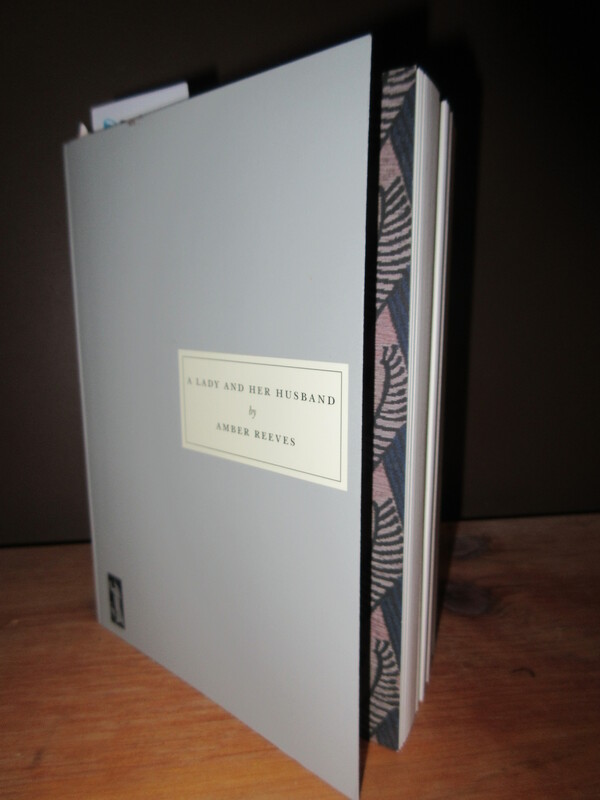 I want to know if all the Persephone books are this good… if so, I could be in trouble! Even the physical experience of reading it was wonderful. Didn’t the author do such a good job taking us through all their thoughts? Mary’s especially – sometimes going on for pages, but I loved every word! And, you’re right, she never cried “poor me”… she was even able to step back and look at James’s point of view even after the worst of it. It’s nice to know someone thinks life is still worth living even (God forbid) with the possibility of being without a man! I had a quick peek at it, and quickly figured out I could spend all day! Very dangerous! Sorry, I was late posting today. I was on vacation and meant to post from the hotel this morning but forgot. So, I posted as soon as I got home. 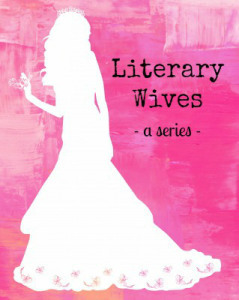 I agree that this novel provides a more balanced view of marriage than some of the others. I like that sense of realism. I did feel as if her husband patronized her, but you are probably right to observe that this may have been more in line with the times. I really noticed the patronizing, too, but the fact that it didn’t seem to bother Mary made it feel more tolerable. I loved the realism of it, and like TJ said, the lack of drama. Mary thought out everything so methodically. I’m going to echo people’s thoughts and say I loved Miss Percival’s rant too! Unfortunately I feel as though it’s still quite relevant today. This book sounds very…realistic actually. Couples making compromises to stay together-it doesn’t make for the most dramatic of endings, but it’s what people tend to do, I guess back and then, and now. As you now, I like philosophizing about marriages in general, and I think we could all use a little more compromising in our lives…. It’ was very realistic, and very much like what we still do now. It kind of makes the book sound dull, but it really isn’t! I was riveted the whole time. oh no, this book sounds riveting to me! 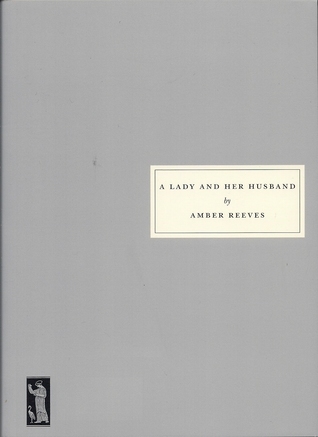 I read this back in the summer and loved it: here’s my review https://librofulltime.wordpress.com/2017/08/22/book-review-amber-reeves-a-lady-and-her-husband/ I did have to get over the shock of reading that this faded, delicate, ageing woman was … the same age as me! Argh! But it was a great read. I’m glad you enjoyed it, too. Very nuanced, as you say. That *is* something that’s quite different now (at least for most of us)… our 40s is not the end of our lives. Thank goodness for that! Thanks for including the link to your review! This isn’t one I’ve read, but I would like to, very much. And I loved all the quotes. Savages. Wow, telling it like it is indeed. Mary sounds like she has fortitude which I agree seems refreshing — instead of just committing suicide or whatnot. Her husband seems rather lame in patronizing? & unfaithful? ways but it seems like Mary still loves him — so it’s up to her. I might check out the Blazing World book by Siri that you mention — she’s usually quite a good author. That would be great if you could join us for The Blazing World! The thing about the husband is that it’s clear that he really loves her, so it’s hard to completely condemn him. I kept thinking about how much worse he could be!